Orlando, Florida – Drew Estate announces that Company Founder, Jonathan Drew will return to an executive operating role, following a two-year period since the sale of the company. In a multi-year agreement, Drew Estate has named the entrepreneur, market disrupter, and art curator as “President and Founder” with oversight for the entire portfolio of brands. The deal is important for the boutique cigar company, as it looks to return to its iconic roots and core values. The objective is to unleash the entire team’s creative power under the leadership of JD who will also continue with his new venture into the spirits industry as CEO of John Drew Brands, a start up initially focused on bourbon, rye, and rum. “I'm a student of graffiti ... and philosophically I look at tobacco the same way. There is an evolution to the painted walls in the streets, just like there was on the subways back in the day. Change is natural and accepted. You just have to bomb harder and stay true to your technique and style - and always keep loyal to your crew. There's a lot to learn from areas outside of our main canvas at DE. We will return to high-level curation, mixed media platforms, and true collaboration. We have lost our way a bit, but DE will bubble back 1,000 times stronger. Believe me,” stated Jonathan Drew. 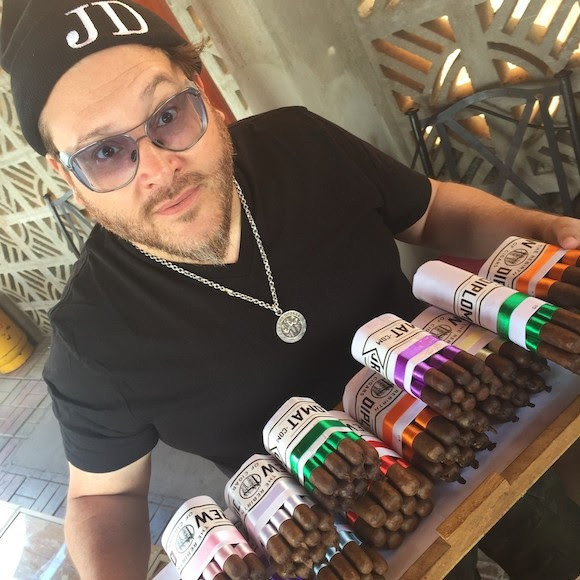 Jonathan Drew, and his business partner Marvin Samel founded Drew Estate in 1996 first as a small shop in the World Trade Center, and later in 1998 JD moved to Estelí, Nicaragua with the vision to blend the urban walls of New York City with the art of premium hand-made cigars. 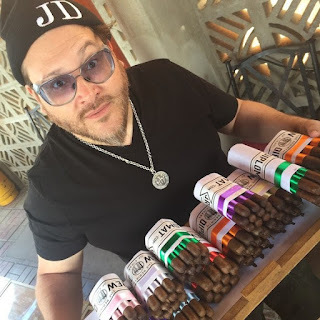 In 1999, JD released the ACID Infused Cigar Brand, and built a small production facility where he could manage the company’s cigar manufacturing, which later turned into many small factories scattered across the city. In 2006, JD broke ground on La Gran Fabrica Drew Estate overlooking a majestic valley. At over 174,000 square feet it is one of the largest hand made cigar factories on the planet. In 2014 Jonathan Drew, and Co-Founder Marvin Samel sold Drew Estate for an undisclosed sum to Swisher International.